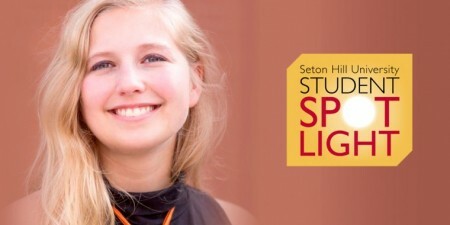 After meeting a Pittsburgh Penguins executive during a class presentation, Seton Hill sports management and business administration double major Luke Lewis turned the experience into an opportunity. Luke had the great luck to obtain an internship with the Penguins Marketing Department during the Pens’ 2016 Stanley Cup season. He still works part-time for the team in event entertainment productions on game nights. 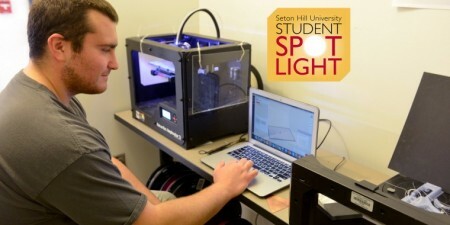 A member of Seton Hill’s men’s lacrosse team, Luke is also president of the Student-Athlete Advisory Committee, treasurer of the Fellowship of Christian Athletes, a Griffin Guide, a Student Ambassador and the business manager of the University’s student newspaper, the Setonian. 5/30/18 update: After graduating in May 2018 Luke obtained a position as an admission counselor at Seton Hill University. He is looking forward to helping new students find and enjoy great opportunities.